.Wine domain: France and winemakers are furious at the Internet. France thinks .wine endangers real winemakers. Just one month after Mother Nature defeated Jeff Bezos in a battle for the .amazon domain name, a new conflict is fermenting in these Internet suffixes. This time around, the hotly contested properties are .vin and .wine, and the broad-based attack is being led by a very rankled France. Winemakers in Europe, Australia, and California are protesting a decision by the Internet Corporation for Assigned Names and Numbers (ICANN) to move forward with the introduction of .vin and .wine as so-called top-level domains—the familiar appendixes to Web addresses like .com and .edu. The problem, as fine winemakers see it, is that opening up access to .wine and .vin will make it easier for unethical wine sellers to deceive customers about the origin and quality of their goods. Geography is a big deal when it comes to winemaking and the European Union has strict rules that govern the use of “geographical indications” in marketing and labeling. The best-known example of this is how in the EU and many other countries the word champagne can only be applied to bubbly beverages from the Champagne region of France. Made anywhere else in the world, it’s simply called sparkling wine. 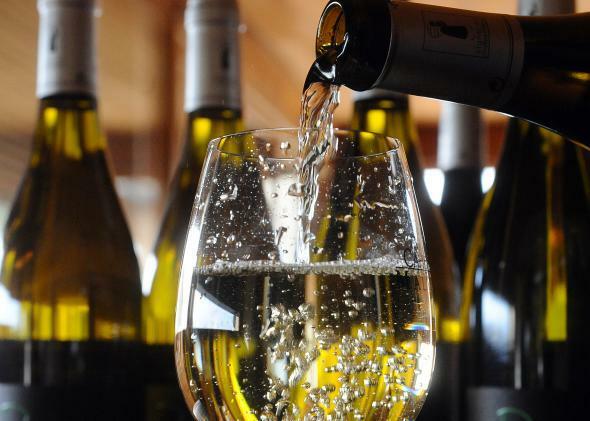 The concern France shares over domain names with other winemakers around the world is that a company could register a Web address like champagne.wine but not sell the authentic product. “Internet users could indeed be deceived into believing that they are buying a genuine product with specific qualities and characteristics, when they are in fact getting an imitation,” Linda Reiff, president of the Napa Valley Vintners, wrote in a letter to ICANN that was cited by the Wall Street Journal. France has gone so far in the debate over .wine and .vin as to demand an overhaul of how ICANN is structured and run. The Financial Times reported over the weekend that Paris planned to call for an international “general assembly” to oversee ICANN with a “one country, one vote” policy at a meeting on Monday. The French have also said that proceeding with the domain names could “imperil” talks on a transatlantic trade deal between the EU and the U.S.
No news yet on how France’s latest advance went, but the lesson here seems clear: If you’re going to mess with the French and their wine, be ready for a fight.